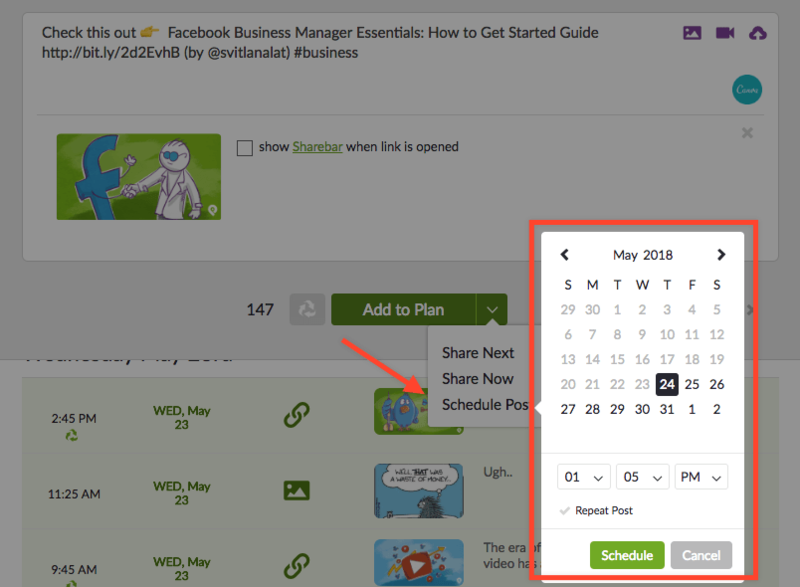 You have several ways you can post content within Post Planner. Two of the most popular are scheduled and repeated posts. 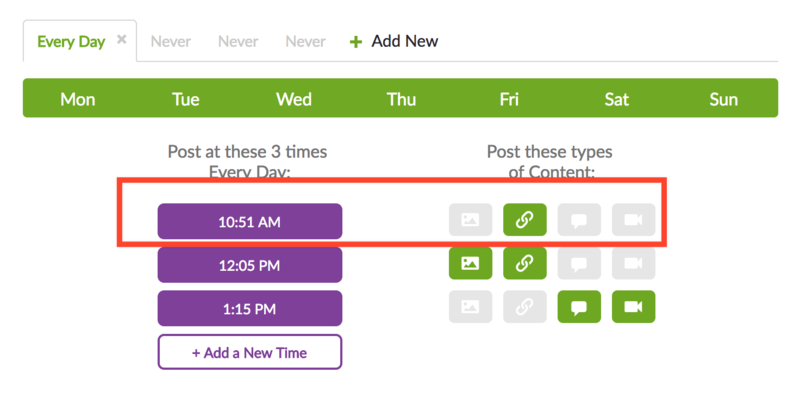 When you schedule a post, you're using the repeat feature within Post Planner. With schedule, you set the time, date, and duration. Repeated posts will have a R in front of them when you look under POST - Planned. This will denote that it will be repeated again and again until the set time or forever. Recycle is used for evergreen content that you want to re-post indefinitely. You can access Recycle in two locations. From the composer, hover over the green recycle icon and click on it. Once it's highlighted green, the recycle feature is active. This means that content will post and then drop back down to the bottom of your queue. Post Planner is designed to associate time to post with the type of content. For example, if you have a planned time of 10:51 am and your type is "articles," that post will drop back into your Plan at the next available time slot for that type of content. You can then go into POST to access any recycled content. Choose "Post" and look to the left of all content where the green recycle icon is located. 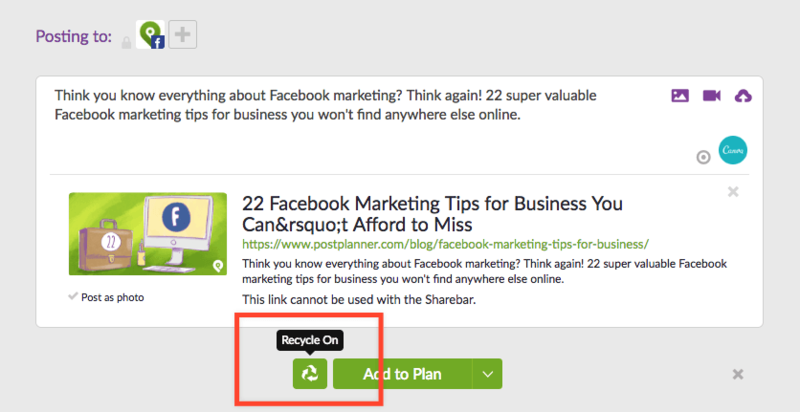 To turn off (remove that content from recycling), hover over it and click. Once it's gray, you'll see that recycle is now off.